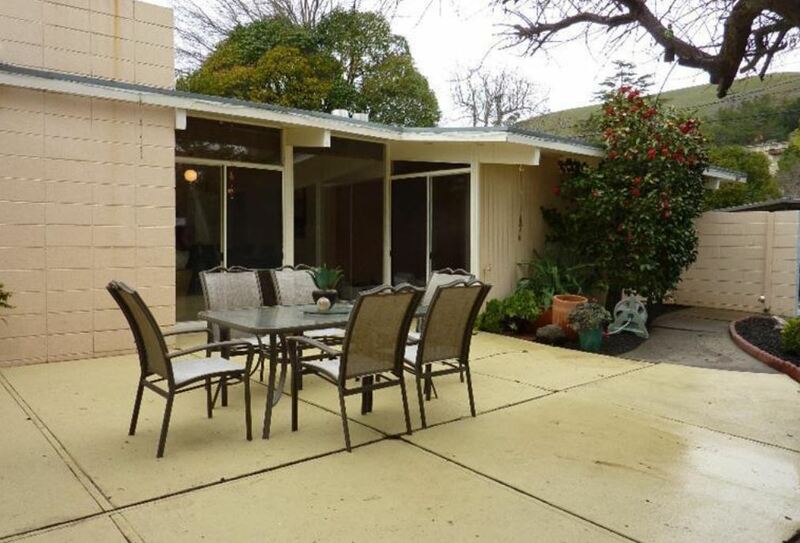 Classic Eichler featuring a remodeled kitchen and simulated wood floors. Luxuriate in the master bath with granite counter, custom vanity and gorgeous shower tile. New interior paint, new driveway, and new carpet in some rooms. Lots of space outside with patio, backyard, and front yard with fence.